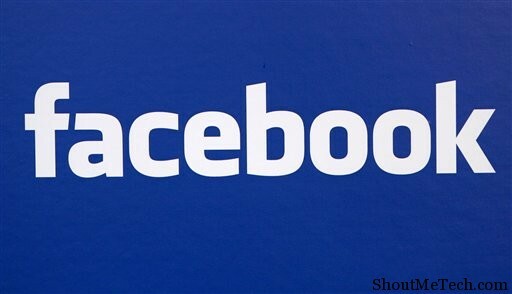 Facebook is the most used social networking website in the world, and for many users it is also the only used social networking website. When you log on to the website, you normally check your notifications, messages, stories etc and end up starting to chat with a friend/family or colleague. If, for some reason you do not like the integrated chat or do not find it good enough, then you can always use one of many Facebook web messenger that are available on the internet. When you use a Facebook web messenger, you won’t be disturbed by any notifications or anything that normally happens when you’re on Facebook. You can stay clear of all that and just concentrate on chatting to your friend. These web messengers can be accessed online and require authentication from you to use your Facebook details. Once you’ve provided access, you can just log in to one of these messengers and start a chat with any of your friends. With a Web messenger, you also get extra features that mainly consist of a better interface, more text options etc. Hence, today I’ll be talking about 4 such Facebook web messenger that you can use for free! I’m sure you all must’ve heard of eBuddy messenger. This was one of the most used mobile messenger when Facebook, Whatsapp and others were new in the game. 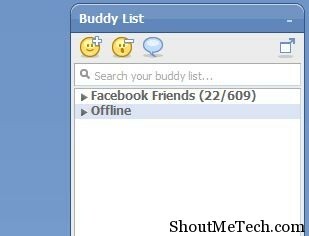 With eBuddy messenger, you can not only access Facebook chat, but also log in to MSN, Yahoo, Gtalk and more. With the web messenger, you can add custom backgrounds to your chat box, add different accounts and choose between them instantly. The interface is much better looking than the Facebook chat and shows your recent chat history, all your friends(offline and online) and lets you go invisible. 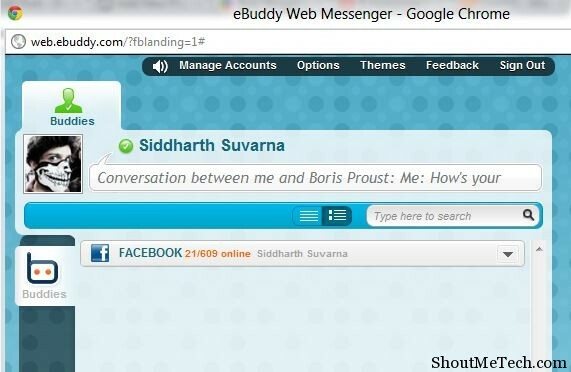 You can try the eBuddy web messenger here. 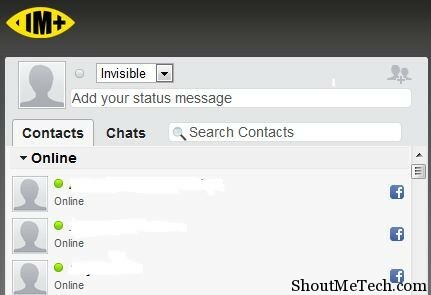 Another famous chat messenger, which lets you connect to many social networking sites and chat networks at the same time. IM+ messenger also has video chat, but that will not work over the web messenger. Again, the interface here is much better than the stock FB messenger, so you’ll have a good time while chatting to your friends. You’ll get notifications for every new chat and all the chat history can be saved. The option to go invisible is also present within and you can also update your status from the web client. You can try IM+ web messenger here. If you were looking for a simple looking Facebook web messenger, then Meebo is the one for you. Its clean and easy to use interface will let you chat to multiple friends with no problems whatsoever. When you click on a contact to start a conversation, a new dialog box opens just as in Yahoo messenger or Hotmail. You can also sign on to multiple accounts from Yahoo, MSN etc, while you’re on Facebook. Changing themes, font, font color and emoticons are all present. Try Meebo messenger here. ChitChat messenger is quite good too, but has that occasionally problem with disconnecting on its own. Apart from that, it works like a charm and has features like all the above messengers. There isn’t anything new in this, so this would be your last choice if others didn’t work so well for you. ChitChat is compatible with all browsers and it too has the ability to show you as Invisible. It doesn’t open separate dialogue boxes for each chat, but instead has tabbed chatting. Try ChitChat over here. These are the best Facebook web messenger that I’d recommend, but I’m sure that you’d satisfied with the first two. The other two are just options, so you can check them out and see if you like them better. Remember, these web messengers provide the best chatting experience, without any distractions. Try them out and let us know, which did you like the best!